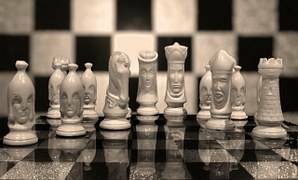 The 4th Chess Challenge day at St Thomas has now been moved to Thurs 21st June so the year 6's in club from St Thomas' can participate (the original date of the 29th they are away at their residential camp). It involves both class and club from each school coming together (around 100 children!) competing against each other for a magnificent trophy and the bragging rights for next 12 months! !